Looking for a mini desktop computer that’s powerful and business ready, yet easy to manage and deploy? 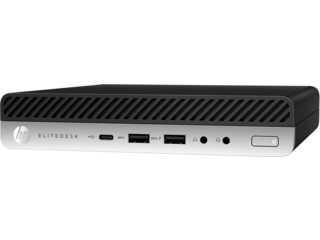 Look no further than the HP EliteDesk 800 Desktop Mini. This feature packed mini desktop computer contains a ton of impressive features while providing an easily managed environment, perfect for the IT professional who’s looking for simplified workforce management. 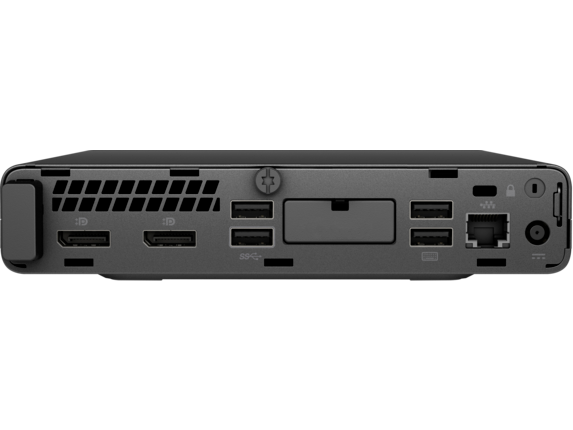 This stylish and ultra-small mini pc features the latest Windows 10 Pro 64 operating system, a powerful 7th Gen Intel® Core™ processor, Intel® HD Graphics 630, and Intel® Optane™ memory (optional) for lightning fast performance. It provides a robust yet stylish and low profile computing solution for enterprise environments that can be mounted and secured to almost any small space or furniture. 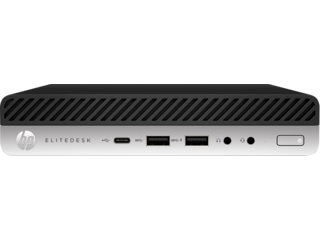 And when it comes to easy workforce management, the HP EliteDesk 800 Desktop Mini can’t be beat. This feature-rich mini pc makes it easy to manage and deploy devices through the Microsoft System Center Configuration Manager, making it the perfect solution for effective workforce management. 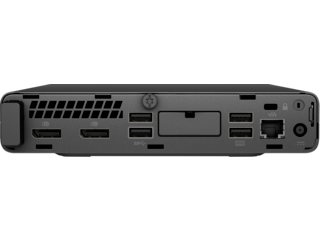 The built in HP Sure Start Gen3 system keeps an eye on the in-memory BIOS, is able to recover the system without intervention, can restore the BIOS to a custom condition, and is enterprise ready for easy unified management. 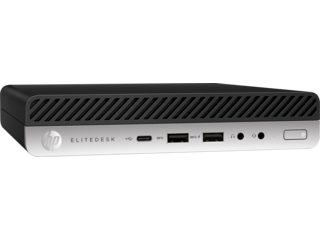 The HP EliteDesk 800 Desktop Mini includes the HP Client Security Suite Gen3 with powerful security tools like the HP Multi-Factor Authenticate, HP SpareKey, HP Device Access Manager, and HP Password Manager to help protect your users against hardware theft, cyber-attacks, and unauthorized access. For next level enterprise management on the go, the devices can be accessed via the HP WorkWise smartphone app. It enable IT managers to provide PC security, PC performance information, and printer driver installation. The HP EliteDesk 800 Desktop Mini, stylishly powered for the enterprise.